Nationwide accident statistics show that more than 50 percent of fatal accidents occur during the hours of darkness. Because only 25 percent of travel occur during the same period, the fatality rate is about three times higher at night than during the day. The installation of overhead lighting is a potential countermeasure to this nighttime accident problem. However, this is expensive, and much of the research to date offers inconclusive results about its effects on highway safety. 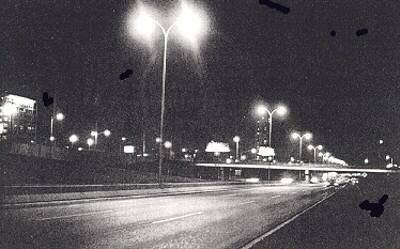 Many previous studies have evaluated the relationship of urban freeway lighting and highway safety. However, the majority of these studies were conducted in the 1960's and early 1970's, and the results from these studies may be outdated. On our Nation's highways, there have been changes in traffic flow, vehicle fleet, and road-user demography in the past 20 to 30 years. Clearly, the volume of traffic on urban freeways is significantly higher today, and congestion is a greater problem. This study compared the safety of continuously lighted urban freeways and urban freeways with interchange lighting only. A freeway section with continuous lighting has overhead lighting at the interchanges and between the interchanges, as opposed to overhead lighting at the interchanges only. Minnesota was the only HSIS State with a sufficient number of urban freeway sections with roadway lighting that had complete accident, roadway, and lighting information to permit a safety analysis of roadway lighting on urban freeways. In addition, at the time of the study, Minnesota was the only HSIS State with a videodisc photolog system. The Minnesota videodisc photolog system is a key tool in the HSIS laboratory, which allows users to have automatic computer access to all video images of the State-maintained roadway network. This system is used to collect supplementary data for studies and to verify existing data.